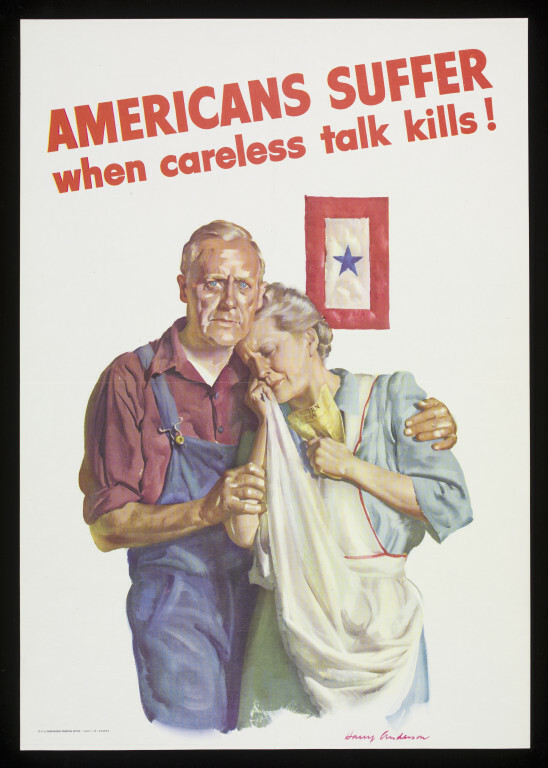 'Americans suffer when careless talk kills', Second World War poster depicting an elderly couple. The man, who is dressed in overalls, stares out to the viewer as he embraces his wife. She is crying, dabbing at her tears with her apron, as she clutches a yellow telegram (indicating that their son has been killed in action). Behind them is a single blue star on a white background which is framed by red; it appears to be a wall hanging. 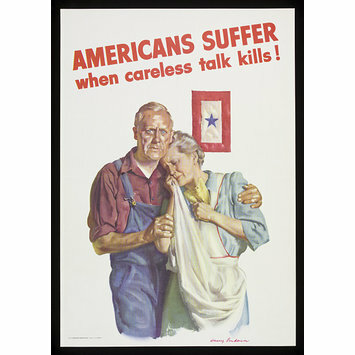 Above them are the words, 'Americans Suffer when careless talk kills', in red letters.